When considering social media marketing for your business, there are two factors you should know: Cost and ROI (Return On Investment). I’ve heard some business owners comment that since Facebook and LinkedIn is free, why should there be a cost, but they don’t consider the time and efforts in content writing and posting? Others may say that social media is only an option in marketing and not measurable. Of course with any investment you put into your business, there is risk. 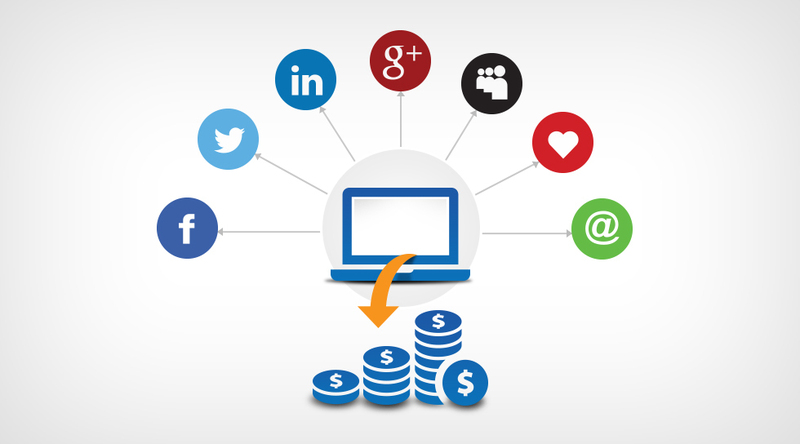 Understanding Social Media ROI really depends of your company and overall goals. It’s important to include a marketing plan and goals for any advertising or marketing strategy you create. Is your overall goal to increase followers? Are you looking to sell more product? Increase traffic to your website? To determine social media ROI, it gets down how much you’re currently spending and how much your social media impact matters to your business. This is where you have to make some decisions for your company – for example, one company may spend their money on more traditional forms of advertising, such as print or TV. It could be difficult for a company to switch from traditional marketing to social media. However, social media ad spending may actually get more results in the long run, as they’ve recently surpassed TV ad spending. Record website analytics – this could be visitors, referral links, SEO rankings, etc. Track customer satisfaction – take a look at the referrals and recommendations from Facebook, LinkedIn or Google My Business. Make a note of KPI’s (Key Performance Indicators) – what is the cost for customer acquisition, advertising, allocation (what’s this? ), average sales per month, etc.? You should pay attention to these changes over time. Pay attention for your current social media profiles – watch any changes with the number of connections you have on LinkedIn, Facebook likes and Instagram followers. Don’t forget about who’s subscribing to your newsletters and reading your blogs. It’s crazy to think that many companies don’t know how much they’re actually spending on social media. Take a look at which social media channel is bringing your company the most revenue right now and why. Also look at areas where you can improve. By monitoring these changes, you can move forward with a better game plan and hopefully see more revenue. If you’re not sure which channel is right for you, try and experiment with different platforms such as LinkedIn, Instagram, Facebook or Twitter. A restaurant for example might be benefit better from Instagram – customers will react and engage with beautiful photos of yummy dishes and the inviting ambiance. A mid-size consulting firm may do better having it presence focused on LinkedIn, where they can interact with potential clients and engage in conversation within the industry. Again, one you define your goals (followers, sales, likes, foot traffic), it will be easier to measure your social media performance. It’s important to remember not to hit every platform at once – this can get time consuming and overwhelming. After defining your goal, budget and a proposed plan – what would be the best ROI for you? Maybe set a company goal of having 10,000 visitors visit your website. You can then measure using Google My Business and Google Analytics how long someone spent on your site, what they clicked and did it turn into a phone call? Which then turns into a sale. The impact of your social media campaign should be measurable from the beginning with the value of each link trackable. This will make it easier to see which links are building traffic and promoting engagement. Although it may take some time and patience to see your ROI add up, there are other factors that can help enhance your social media presence. If you decide you hire a marketing company, make sure you go over your overall social media goals, analytics and that you’re on track for ROI. Have more questions about fitting social media into your budget? Contact me at judi.otton@growth-cast.com.